Taking a leisurely jog around the neighborhood each day is a great way for you and your pup to stay in shape. Dogs are naturally energetic creatures that need regular exercise to thrive, so why not use that to your advantage? A tandem jog together is beneficial on both sides. Your pup will motivate you to keep going, push you to your limits, and likely remind you every day when it's time to hit the trails. With that being said, running with your dog can be a bit of a challenge without the proper equipment. Standard leashes can be cumbersome and affect the way you run. They can also be dangerous to dogs. Traditional leashes often get pulled as you use your arms for momentum. Luckily, there are a number of hands-free solutions available. With the proper leash, you and your dog will have the ability to run freely while staying safe. Here are some of the best leashes for running with your canine companion. This running leash from Stunt Puppy is built for comfort and efficiency. It features an adjustable waist belt. The belt can be adjusted based on your size as well as your preferred running position. This helps to ensure that your dog stays in the right spot. It has a built-in shock absorber that stretches up to 51 inches in length. Should you ever need quick control of your pooch, the leash has a traffic loop. With a strong swivel clip and buckle, this option will keep your dog contained throughout the run. 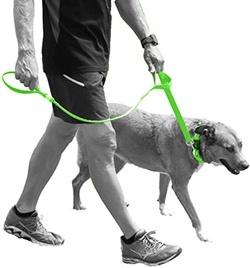 From Tuff Mutt, this hands-free leash makes tandem running a breeze. The belt clip is comfortable and easy to adjust. 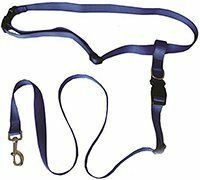 It has a gliding clip that attaches the 48-inch leash. The metal loop moves along the waist belt instead of being fixed to one position. This makes it easy for your dog to switch sides without any issues. The leash itself has a strong bungee that can extend to 60 inches. It also has two traffic handles for easy control. For visibility, the leash utilizes reflective thread and bright contrasting colors. Despite its simple design, this leash from RoadRunner is an effective option that can keep your dog close no matter where you run. Made from strong nylon webbing, the leash is built to last. The waist belt is adjustable and utilizes a strong plastic clip. A gliding nylon loop is used to attach the leash. 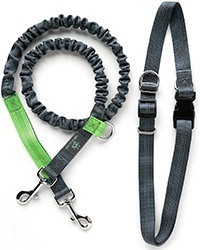 The leash portion is also adjustable and snaps onto the nylon loop with a plastic buckle. It can measure up to 59 inches. A quick release metal clip is used to attach the leash to a harness or collar. The unit comes with an attachable LED light for night running. This leash is designed to give your dog the comfort and freedom they need while improving your own posture as you run. The simple waist belt is adjustable so that you can get a comfortable fit. The position of the D-ring is fixed, but you can easily adjust it based on your running style. Even if your dog decides to move to your other side, the smooth nylon glides over your clothes. The leash has an elastic bungee to prevent pulling. The entire unit is made from weather-proof nylon and has reflective stitching for visibility. 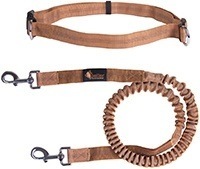 This Hertzko leash comes with a belt that can be adjusted three ways. You can easily get a snug fit while also positioning the leash D-ring for maximum control. The leash has shock-absorbing elastic built right in. A traffic handle is located at the end of the leash near the collar clip. It's available in 36 or 48-inch sizes. While it's only available in a black color, the nylon webbing has vibrant white reinforcement stitches. They have a reflective finish help to improve the product's visibility. If you have a large dog, this option may be for you. While it's built to accommodate dogs of any size and breed, its maximum size limit is 150 pounds. The leash is built with strong nylon that can withstand a lot of wear and tear. It also has three rows reflective stitching for added safety at night. The elastic leash extends to approximately 6 feet. For versatility and control, the leash has two traffic handles. One is located near the metal belt clip while the other is next to the collar. This leash from Riddick can be used with one or two dogs. The waist belt can be adjusted for size. The position of the two D-clips can also be changed. You can have both your dogs run together or keep them separated. Both leashes are built to standard. They are 4 feet in length, include shock-absorbing elastic, and have traffic handles for quick control. Heavy-duty metal is used on the D-rings and attachment clips. To make sure that you're seen, the entire unit has reflective threading throughout. Bright accents of green or red are also incorporated onto the leash. The belt has to be worn at all times, so it's important that you find an option that's comfortable and easy to wear. Simpler belts are made from the same nylon webbing material found in dog harnesses and leashes. They often feature a durable clip that can be adjusted to achieve a secure fit. More advanced options look more like a support belt. Typically made of a soft elastic material, they stretch around your waist and can improve your posture when you run. Some manufacturers even offer belts that can be used in multiple configurations. They easily transform into a standard leash for versatility. The length of a leash can have a huge effect on your performance and safety when you run. 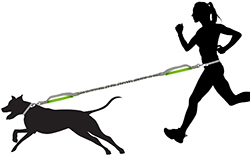 The leash should be long enough to provide your dog with plenty of running room without dragging. A leash that's too long can turn into a tripping hazard within minutes. The same goes for leashes that are too short. Because the leash is attached to your waist or hip, it's more important than ever to take proper measurements of you and your dog. Consider your dog's height and the distance from the ground to the belt. One way to combat length issues is to invest in an option that has a built-in shock absorber. These leashes have elastic material in the leash. It's protected by the strong exterior material. The sheathing material also limits the maximum length. As you run, the elastic will provide a little bit of give to prevent tugging. Regardless of the size and strength of your dog, it's recommended that you invest in a leash that's made from high-quality materials. Cheaper leashes can easily snap under tension. When this happens, you'll immediately lose control of your dog. Manufacturers use a variety of materials that can withstand years of abuse. One of the most common is nylon webbing. The nylon is often protected with reinforced stitching. Beyond the fabric material, you should also take a look at any buckles, clips, or adjusters. The strongest option to go for is metal. However, thick plastic buckles can also hold up well. Visibility is key if you want to stay safe on your run. There are a number of ways to make sure that you get seen by motorists and pedestrians alike. The first is to get a brightly-colored leash. Neon orange, yellow, or pink will pop against the colors of nature. If you frequently run at dusk or even through the night, you'll need a leash with reflectors to bounce light at a distance. Some models also come with blinking LED lights for further peace of mind. When you take your dog out, there's a lot you need to bring. You need doggy bags to pick up any messes, treats to reward them, and water to keep them hydrated. Instead of stuffing these items in your pockets, go with a model that has built-in storage. Some leashes are designed with storage compartments throughout. They provide ample room for your dog's must-haves as well as your cell phone, identification, and keys. Running is only fun and effective if you're being safe. While dogs get excited at the very mention of going for a walk, that excitement can lead to issues if you're not careful. This is especially true if your dog isn't used to running on a new leash. Consider these tips before you head out and keep them in mind to avoid problems. You should always be realistic about your dog's fitness levels and abilities. Not every dog is physically capable of tackling a long run. Some breeds can experience significant health issues if exerted too much. These include dogs with short snouts, such as pugs and bulldogs. You should always consult with a veterinarian prior to making a big fitness change. Before you ever take a run with your furry friend, you need to make sure that they'll listen to you should the worst case scenario happen. At the very least, they should be able to sit and stay when told to do so. This will be incredibly useful if you lose control for whatever reason. Once that's down, teach your dog to run by your side. Working on the "heel" command can be tough, but it will prevent constant pulling and distraction. Harnesses are a much safer alternative to traditional collars. They wrap around your dog's chest so that you have complete control of your dog. Should you need to pull your dog back, that pressure will be felt where their body mass is most concentrated. Harnesses also help to prevent neck injuries if they're prone to pulling. There are many great harnesses available. Some even have gentle leads or loops placed at the front of the chest to help with the training process. Your dog will need some time to adjust to runs. Start off by incorporating short sprints into your daily walk. Over time, you can make these sprints a bit longer to push your dog. Eventually, you'll be able to go long distances with ease. It's also a good idea to avoid distractions so that you can train your dog to run continuously without stopping. Keep an eye on your dog at all times. Dogs are prone to overheating. They may be experiencing symptoms long before you break a sweat. 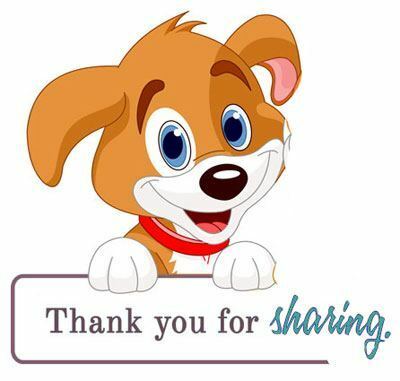 If your pup starts to slow down or pant heavily, pull to the side of the trail and give them water. You should always have water on hand to fight dehydration. You should also look out for weakness, limping, or confusion. Always avoid extreme temperatures. Dogs are prone to heat stroke in the summer and hypothermia in the winter. Not only that, but they can experience bodily injuries like burning and frostbite. Sidewalk pavement is easily affected by the temperature. Before you run, feel the concrete with your bare skin to ensure that they can run comfortably. Running provides a number of mutual benefits. The biggest is an improvement in you and your dog's overall health and fitness. Dogs are great motivators that can get you on the running trail even on the days that you want to stay home. During the run, you'll both burn calories, improve your joints, gain muscle strength, and improve your cardiovascular health. Running can also do wonders for behavior. Dogs that don't get enough exercise are the first to act up. All that built-up energy takes over, causing them to destroy items in your home. With regular running, your pup is getting rid of that energy. They'll have the chance to be out in nature, release any stress, and return home tired and ready for a nap. Running is also a great bonding activity for your dog. Regular one-on-one puppy time is always great for strengthening your relationship. All in all, running leashes are a great investment that can improve you and your dog's life. These unique leashes will let you enjoy the perks of running while keeping your dog close and out of trouble.